ISI Skaters Experience Show Skating with Sea World! 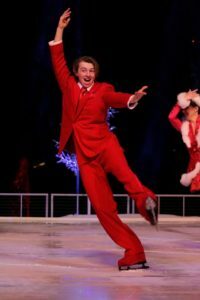 Over the holiday season, Sea World in Orlando, Fla, presented “Winter Wonderland on Ice,” bringing the magic of Christmas to life as skaters performed on ice. 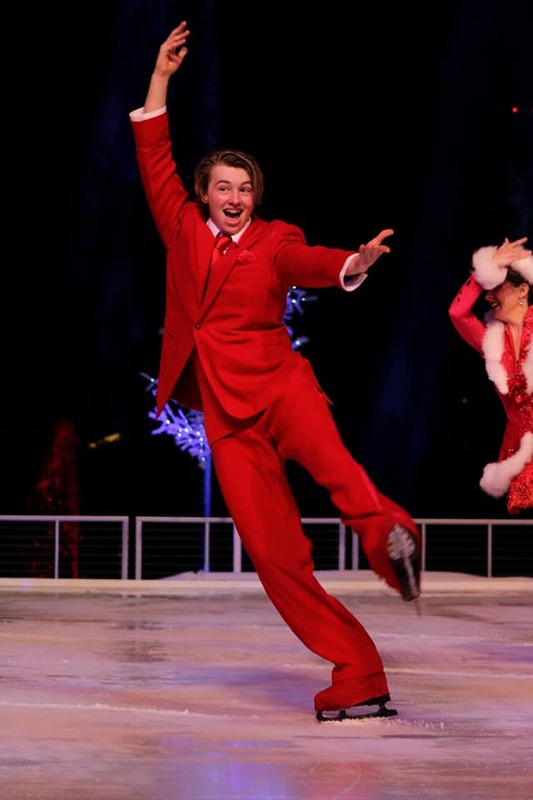 The youngest performers in the show included ISI skaters Timmy Chapman from RDV Sportsplex Ice Den in Orlando and Kirby Goodman from SQSA Parade in Minneapolis, Minn. The two met at the 2016 ISI World Recreational Team Championships in Minneapolis, where they competed in several of the same events and also participated in the ISIA Worlds Benefit Show. Goodman and Chapman were paired together for several numbers in the Sea World show, including an old-time waltz. For both skaters, it was their first time performing in a professional ice show and an opportunity of a lifetime. “I had never done any partner work before in my skating, and while I prefer singles skating, having someone by your side to encourage you throughout a performance is really awesome,” she said. 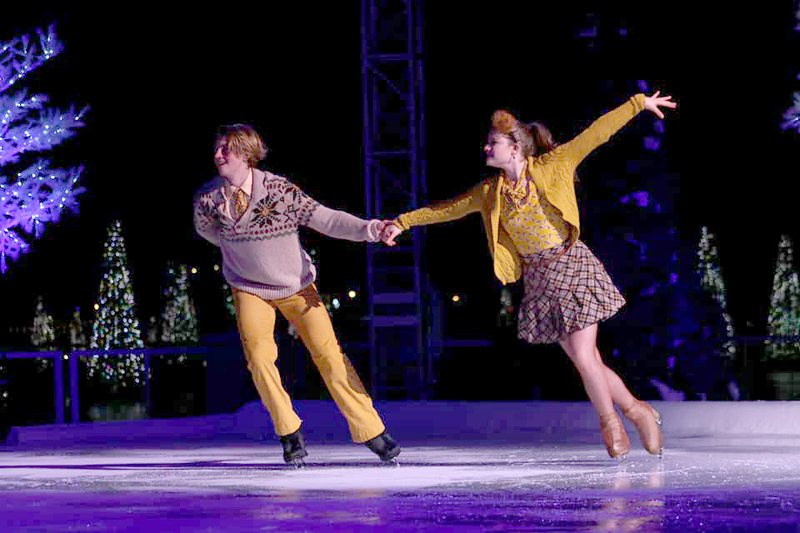 Performing at Sea World was an incredible experience for both skaters, and they enjoyed working with one another, the choreographers and the cast. The arena in Orlando was packed full of thousands of people gathered for the holidays — every performer’s dream. 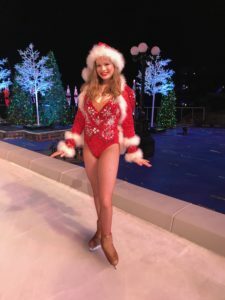 “I cannot image a better experience for my first professional show; performing for a stadium full of people like at Sea World is an indescribable, amazing feeling so unmatched by anything else,” said Goodman. Chapman describes his experience as one of the best times in his life and a phenomenal start to his professional career. Chapman has been on the ice since as long as he can remember, and he began taking private lessons when he was 10 years old. Goodman began skating in tots learn-to-skate classes at just 4 years old and began her journey with ISI one year later. The two skaters share that ISI has had a huge impact on their skating journeys and believe they wouldn’t be where they are today if not for the ISI Skating Program. “ISI has always been extremely motivating for me, because I was never naturally artistic in my skating, nor was I an amazing technician. But when seven elements were put in front of me, I did everything in my power to master them,” said Goodman. She hopes that her background with ISI will lead to a career with Disney on Ice. ISI events give skaters a unique edge in developing their skating careers by providing them multiple events that help them hone their interpretive and performance skills. 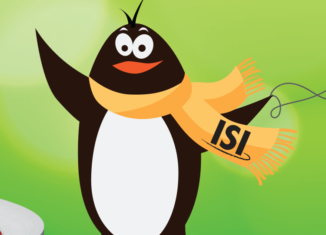 For instance, an ISI skater can enter a spotlight in several categories (light entertainment, character and dramatic), all designed to challenge their ability to create a program that delivers an enjoyable and believable performance. Chapman had to leave the show early to train for the 2018 U.S. Figure Skating Championships, where he and his partner placed 9th in Novice Pairs. He is currently training and hopes to qualify for “Nationals” next year and pass his ISI Freestyle 10 test. He will be competing in ISI World Recreational Team Championships in Boston this summer. “We work really hard on all of our technical Pairs elements, but at the end of our Pairs training, I get to work on three butterflies in a row — a requirement for ISI FS 10,” he said. ISI will be a part of the skaters’ futures as it has already played such a fundamental role in their pasts. 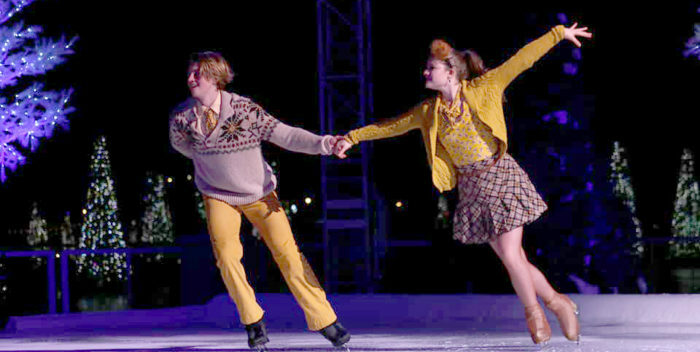 Skating Idol: Erin Reed, a professional skater in Sun Valley summer ice shows. Off-Ice Hobbies: Playing video games, board games and card games; spending time with friends. Skating Idol: Adam Blake, an amazing choreographer and performer, and Ryan Bradley. I am an ISI member, where can I get this copy? Congratulations Timmy, he’s from our Rink RDV!